ASEBA > Research Updates from Around the World > Are American Children’s Problems Still Getting Worse? One often hears that kids’ behavior seems to be getting worse. Abundant publicity about the misdeeds of today’s young people certainly supports this impression. However, to determine whether the prevalence of problem behaviors is actually changing, it is necessary to assess representative samples of the population using the same standardized methodology at different points in time. In 1993, Achenbach and Howell (1993) reported comparisons of parents’ ratings on the CBCL and teachers’ ratings on the TRF that showed significant increases in problems over intervals of 13 and 8 years, respectively. As a sequel to that study, Achenbach, Dumenci, and Rescorla (2002a, 2002b, 2003) compared CBCL, TRF, and YSR scores obtained in national surveys in 1989 versus 1999. Ratings by parents, teachers, and youths all showed small declines in problem scores from 1989 to 1999. In addition, Achenbach et al. (2002a, 2003) compared the 1989 and 1999 problem scores with the 1976 CBCL scores and 1981 TRF scores that had been reported by Achenbach and Howell (1993). Spanning 23 years for the CBCL and 18 years for the TRF, these comparisons showed that the significant increases in problem scores in 1989 were reversed in 1999. The 1999 CBCL problem scores were not as low as in 1976, but CBCL social competence scores were as high as in 1976. The changes from the earliest assessment to 1989 and then to 1999 did not differ significantly in relation to the age, gender, socioeconomic status, nor ethnicity of the children. Despite the increases and then declines in problem scores, correlations between the mean scores obtained on the problem items from one assessment to another ranged from .94 to .99 over periods up to 23 years. This indicated great stability in the problems that received relatively high, medium, or low scores from parents, teachers, and youths at each assessment. References: Achenbach, T.M., Dumenci, L., & Rescorla, L.A. (2002a). Is American student behavior getting worse? Teacher ratings over an 18-year period. School Psychology Review, 31, 428-442. Achenbach, T.M., Dumenci, L., & Rescorla, L.A. (2002b). Ten-year comparisons of problems and competencies for national samples of youth: Self, parent, and teacher reports. Journal of Emotional and Behavioral Disorders, 10, 194-203. 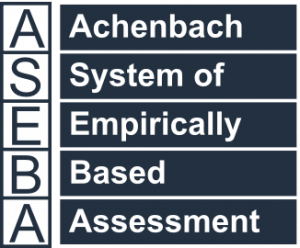 Achenbach, T.M., & Howell, C.T. (1993). Are American children’s problems getting worse? A 13-year comparison. Journal of the American Academy of Child and Adolescent Psychiatry, 32, 1145-1154.